Beautiful Boy DVD and Blu-ray release date not announced. 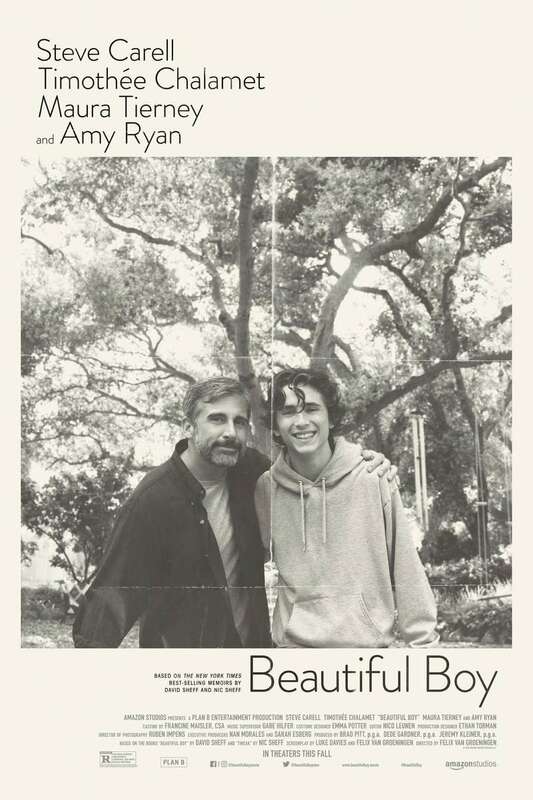 David Sheff feels like he's losing his son Nic, and he's not wrong: Although David has done everything possible as a parent to help Nic succeed in life, Nic chooses a dark path that he never expected. Nic begins to dabble in drugs until eventually he's overwhelmed by an addiction to methamphetamine and deep depression that feeds into it. As David struggles through years of watching Nic spiral out of control, recover and then fall over and over, he must come to terms with his role as a parent who feels he failed his child. Nic struggles to stay alive and believe in the idea that he can one day become someone he feels his family can be proud of again. DVDs Release Dates is the best source to find out when does Beautiful Boy come out on DVD and Blu-ray. Dates do change so check back often as the release approaches.